If your smile is marred by dental stains, you may benefit from teeth whitening. However, you may also hesitate because you worry that the treatment will involve discomfort or unpleasant side effects. Dr. Maurice Benjamin, DDS, can advise you about the benefits and risks of teeth whitening at his Brooklyn and Manhattan, New York, offices. With his guidance, you can determine if our in-office treatment will help you achieve your aesthetic goals. Fortunately, teeth whitening is highly effective, and risks are negligible. Furthermore, by offering in-office whitening, we can further reduce your chances for post-treatment side effects. When you come in for your teeth whitening treatment, you will first receive a thorough dental cleaning. After placing a protective barrier over your gums, Dr. Benjamin will apply a whitening gel to your teeth. Our professional strength bleaching gel is activated by a specialized dental light that initiates an oxidation reaction. Oxygen molecules will move through your teeth, breaking apart tough dental stains. After about 15 minutes, Dr. Benjamin will remove the gel and apply a new layer. 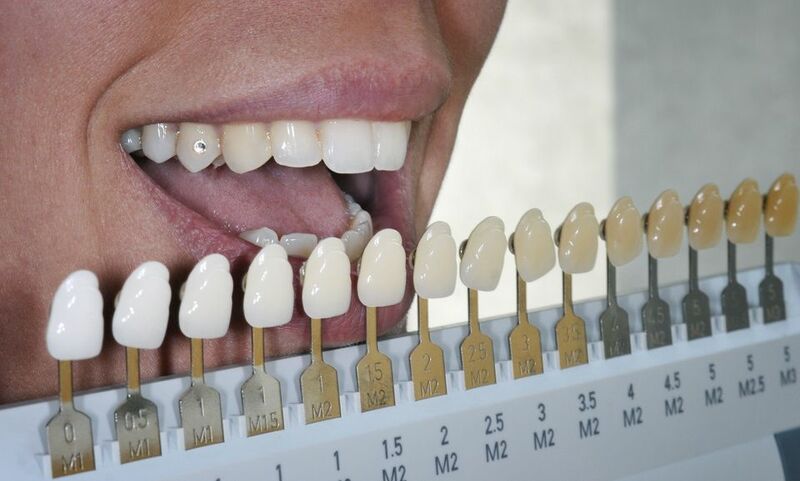 We will typically repeat the process three times during each whitening session to achieve optimal results. Teeth whitening has numerous benefits, the most apparent being how effective this simple treatment can be for enhancing your smile. In just under an hour, in-office whitening can brighten your teeth by six shades or more. Your new smile can impact your whole appearance, helping you look younger and more refreshed. Many patients experience a boost in their confidence, and you may find that you smile more than you did previously. This can have far-reaching effects on your overall quality of life. Multiple studies have shown that smiling actually boosts brain chemicals that lead to positive feelings. Whitening treatments are also efficient and provide nearly instant results. Many patients have found that making a whitening appointment before big events is an effective way to look their best. Whitening treatments are also efficient and provide nearly instant results. Many patients have found that making a whitening appointment before big events is an effective way to look their best. We commonly treat patients before weddings, graduations, reunions, and other ceremonies. Teeth whitening treatments can also provide results that last for an extended period of time with proper care. New stains may develop in the future, but maintaining your smile with touch-up treatments can keep your teeth as bright as possible. Teeth whitening treatment has very few side effects. The biggest risks are tooth sensitivity and gum irritation. Fortunately, both of these side effects are usually temporary. Minor discomfort typically lasts no more than a few days after treatment. Many patients have heard stories of permanent dental damage or enamel erosion. These side effects usually only occur when patients choose unsafe over-the-counter products, which can contain high levels of peroxide. Having whitening treatments performed too often can also produce negative effects. To reduce whitening risks even further, we proudly offer effective in-office care. By placing a protective barrier over your gums, Dr. Benjamin can keep the whitening gel from touching your sensitive gum tissue. Plus, our professional whitening treatment is much safer than many over-the-counter products. Unlike some of these kits, our gel contains carefully regulated amounts of hydrogen peroxide. Additionally, you should follow Dr. Benjamin’s instructions for touch-up treatments. When you whiten on a regular, dentist-approved schedule, there is virtually no risk of enamel damage. For more information about the benefits and risks of teeth whitening, or to schedule an appointment, contact our office today.